February 21, 2015 January 6, 2016 by Beau H.
Editor’s note: Click this link to read the 2016 edition of this site’s best men’s winter boots. So these past few weeks in NYC have delivered some of the coldest weather on record — not only in the city itself, but across much of the rest of Eastern U.S. and Midwest. That really puts things in perspective style-wise, because in cold weather like this, function is just as important as fashion, particularly in the footwear department when trekking through feet of snow (or even just walking through blustery, chilly winds). There are several options on the market that serve only functional purposes (like the famous Bean boot from L.L. 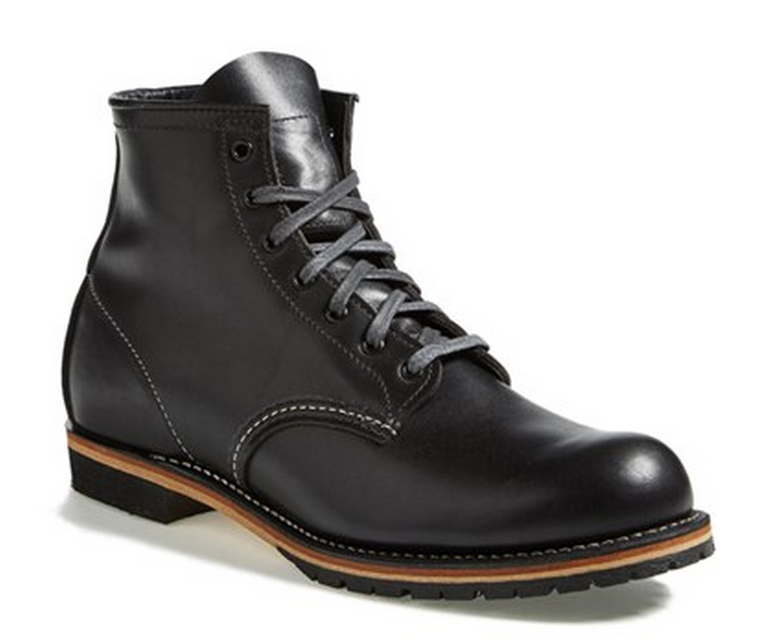 Bean), but the best boots serve both stylish and utilitarian means — like the 5 picks below. Read on and leave your picks for your favorite pair at the bottom! An all-American original with rugged details. Wolverine’s 1000 Mile line of boots is an all-time classic — revered for their durability and toughness, the brand has slowly built up a fashion following across the past five or so years as workwear and Americana themes have come back into vogue in men’s fashion. While this pair is particularly pricey compared to options you might pick up on a budget, the price is well worth it —the 1000 Mile collection combines toughness and dependability with beautiful leather styling and lots of attention to detail (read more on a pair from the line here). In a rich brown color like the pair above, they’ll work at the office with more rugged outfits as well as marching through the cold to get there. Note that these boots are also on-sale through Nordstrom for a bit less than the above price. A slimmed-down silhouette compared to the 1000 Mile boot, for far less cash. The second pick on this list drops the price down significantly from the Wolverine boots above, without losing too much quality. 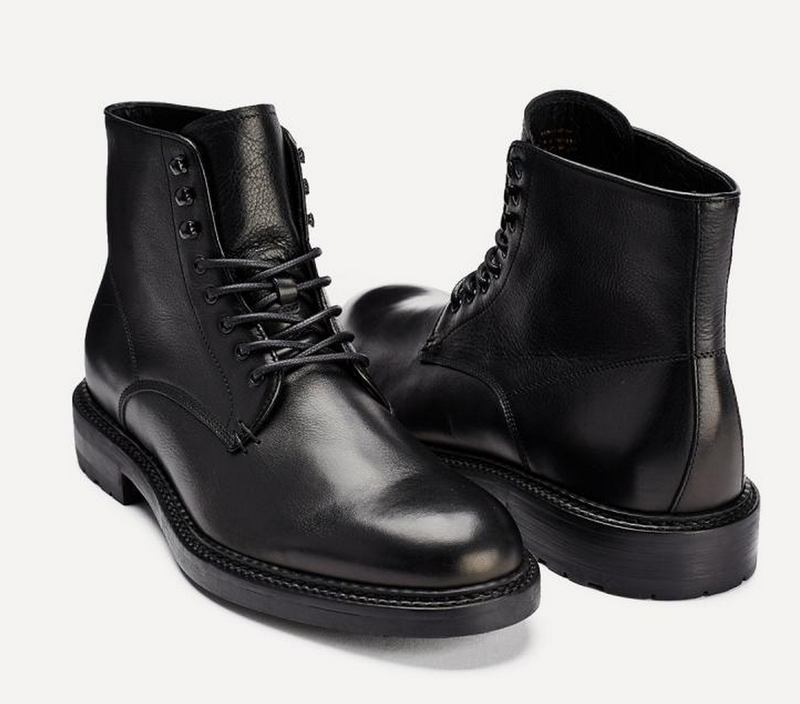 In fact, for being a very new startup courtesy of Kickstarter, these boots provide just as much top-notch styling potential as any other boot from the heritage brands on this list — and they do it for a greatly reduced price. They offer a slightly sleeker-looking silhouette, a more office-friendly captoe and that same rich brown leather that should pair well with all kinds of outfits throughout the winter. And even more importantly, the company’s garnered some positive reviews around their initial collections, meaning it’d be more than safe to take the plunge on this pair. From Frank & Oak’s new footwear line — the sharpest pair on the list yet. The first pair of black boots on this list is also, quite curiously, on-sale through Frank & Oak with plenty of sizes left. On top of that, they’re by far the cheapest pair on the list to date, yet if F&O’s other new footwear offerings are any indication, this pair should deliver in both quality and looks. They’re by far the dressiest pair on the list, given that sharp black color (a slightly resurgent footwear trend), and the brushed black eyelets and waxed cotton laces only add to their sleek styling. These would work best in the same manner that Bond wore his black dress boots in Skyfall — with a sharp grey suit or tailored navy trousers or cords. They’d also work to channel your inner Justin Theroux with slim dark denim. Given the rate of turnover on Frank & Oak’s site, the question remains as to how long these boots will stay in-stock, especially on-sale. Red Wing boots combine heritage craftsmanship with rugged styling potential. Yet another pair of black boots fills spot #4 on this list. 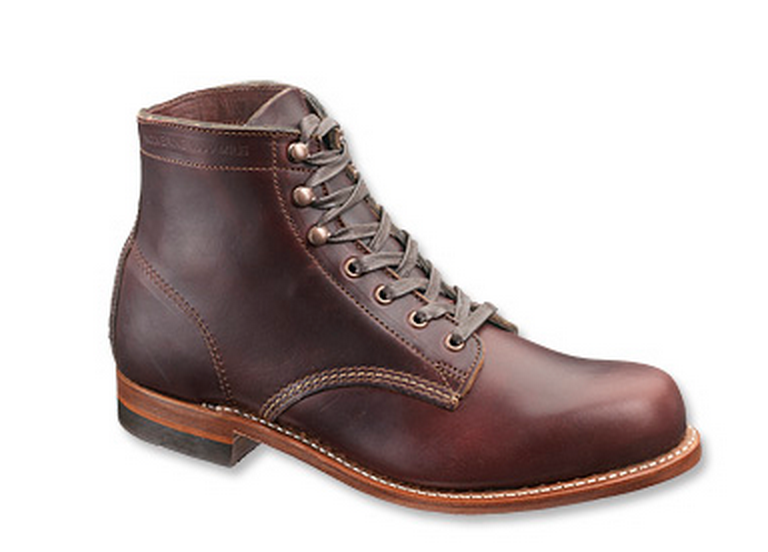 Just like their Wolverine brethren, Red Wing has a long heritage of delivering sturdy boots made to last. This pair of Beckman boots knocks down the price compared to the 1000 Mile pair listed above, but that in no way detracts from the quality. These have that same reinforced sole and Goodyear welt construction that should make resoling possible down the line — practically like getting a new pair of boots for far less than full price. And in this case, the bottom sole is stitched to the midsole, meaning these boots can more than stand up to the abuses of winter weather. Notably, the leather on this pair is richer in color than your typical black leather — it has a luxurious, almost burgundy-like tint to it. Throw ’em on with dark denim, a henley and a shawl cardigan or pair them with slim burgundy cords and a crewneck sweater. 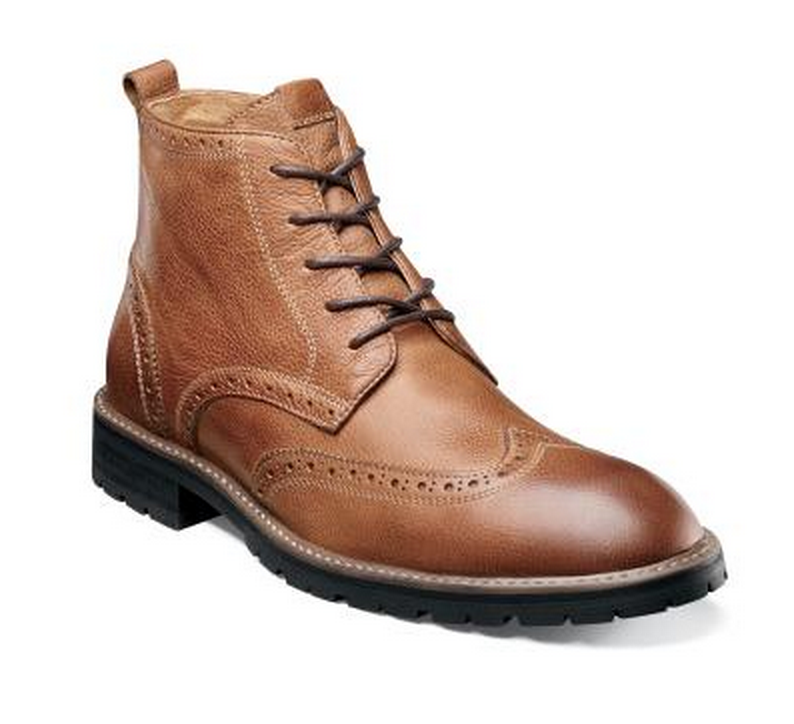 A wingtip option that combines tan leather with a grippy-looking sole. The final pair on this list is the first and only set of wingtip boots on here —mainly because of the fact that while inherently stylish, incredibly nice wingtip boots (like the Allen Edmonds Dalton) don’t always do the best job of beating back the snow and slush. If you have a pair in your closet though, give them a try — after all, $400-plus boots don’t deserve to just sit around! The Florsheim Gaffney is a slightly more upscale replacement to JCP’s much-loved Stafford Camlin and Stafford Deacon wingtip boots, but in a louder “toffee” color. That makes them a little more eye-catching and slightly less versatile than the darker brown options on this list, as tan doesn’t necessarily sit as well under, say, khaki chinos or dark charcoal trousers. They would, however, pair just fine with dark denim and navy chinos, for example. And the sole on these boots looks to have a fair bit of grip as well, which is a definite positive for stepping outside in these chilly temperatures. The leather also looks to have some texture, a nice way of adding a bit of visual interest to fall and winter outfits. Although many of these boots are up there in price, the benefits are well worth the extra dollars, as a great pair of boots can combat slush, snow and ice without needing a change for working hours — or dinner and drinks out later. Got a favorite pair of winter boots? What other options would you add to this list? Leave it all below! Additional note: Look for a Reader Giveaway Opportunity coming up on the blog! I’ll be giving away a Linjer Leather Goods wallet! Details coming on Wednesday. Thanks for reading! How’s the Chippewa Men’s 6″ compares with this list in both looks and toughness ? 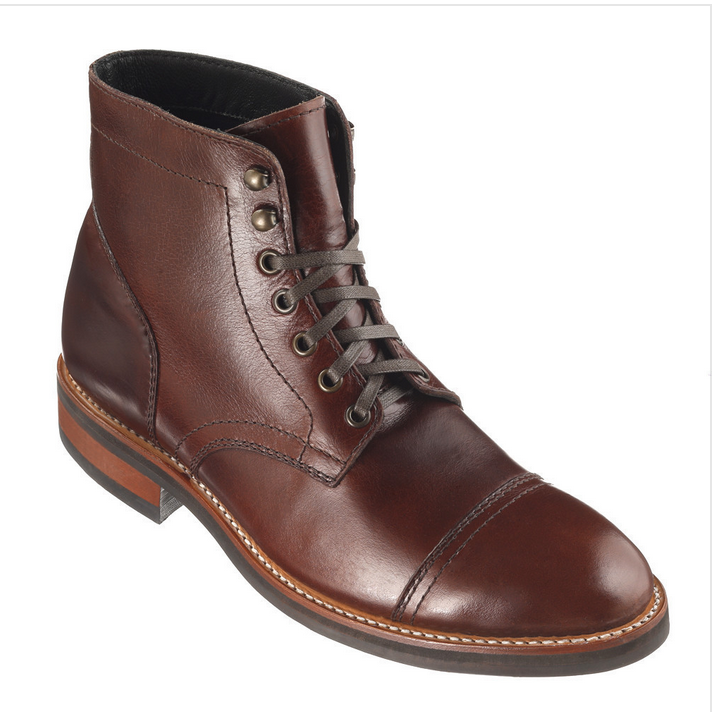 Hey Sam — it depends on either the Moc Toe option or the more traditional Rugged Lace-up option, but I would say either definitely could belong on this list as well; they both stack up very favorably in terms of price (this Rugged Lace-up option from Amazon goes for about $195 at the most: http://www.amazon.com/Chippewa-Mens-Rugged-Handcrafted-Lace-Up/dp/B0036VN958) and look just as good as any of these other options. The Moc Toe option is also a nice change of pace with the thick white sole.